I first started this blog back in 2008 when I traveled from Northern Alberta Canada to Mazatlan Mexico to spend the winter submerged as much as possible in Mexican culture. As I travel back and forth now I will try to keep this updated so you can follow me on my journeys. I've been going to the National AAA baseballs games in Mazatlan since 2000, I am a Venados fan and very much a fan of the grilled sausage at the stadium and of their hotdogs. However for some reason it has taken until now to figure out where the really really good seats are and how the seats are numbered. Turns out the most expensive seats are not the best seats and the seats with the best view are not the funnest seats. I have found (with the help of friends) the seats with a great view and that are fun and economical. 30 pesos. Yup, the 30 peso seat is the best seat in the stadium. It just took awhile. Over the years I have occasionally stood on a street corner and done a "bus study" and made a list on a small piece of paper only to lose the paper or to find the ink has faded on it when I needed it, like ink does here. It may have taken years but I have it figured out....mostly. When in doubt the best way to find out what bus goes where is ask the person standing beside you. The locals all know the routes, it's common knowledge to them and they are always very willing to help. I have had great bus fun over the years, met wonderful interesting people on the bus. I have never seen a bus system anywhere that appears to be this chaotic and crazy but yet so very efficient and economical. 7.50 pesos will get you clear across the city. The cholos bus will take you from central to the edge of town ( a 1 hr ride) for 7.50 pesos, another 7.50 pesos will get you back to central, that's a 2 hr city tour for 15 pesos. Where else can you get a bargain like that anywhere. It just took awhile to figure this out. Cilantro, never used to like it. Not one bit, didn't even like the smell of it. But it was stubborn and it just kept showing up in my food, year after year after year, there is was, looking all green and smelling all funny pretending to be parsley. Slowly, ever so slowly it woed me, now I'm a fan and I know that you can't eat some things without it, like ceviche, salsa mexicana, pozole and so on, I am a fan, I even grow it in Canada now. Have to have it. It just took awhile. The locals eat everything with lime. Everything, they squeeze it on their tacos, in their salad, in their pozole, on their chicken fingers, shrimp, beef, fish, beer, on a cut finger, on a mosquito bite, their kids school whites, socks, shoes, blouses, there is no end to lime use here. Again, I didn't like it at first but couldn't escape it. Now, I love it on pretty much everything too and I miss it when I am in Canada, we have limes there too but I can't afford to buy them. I sure do like me some lime. It just took awhile. Mariachi music. Used to find it annoying when I was sitting at a table eating my meal and chatting with friends and then a mariachi band would show up and play at the next table so loud that your glassware would shake and your table would start rocking. It was loud, and the songs seemed so long, I would sit with my North American friends and roll my eyes. I know...how rude. I have learned to appreciate this custom, it's Mexican art, it's a tradition and a part of the Mexican culture, one that I can now love. I look forward to hearing them. It's nice to take a break from conversation and eating to just lean back and listen. If you stop and just listen then it is not an interruption anymore, it's a part of your meal. I love them now and even recognize some of the most played songs now. It just took awhile. Swimming. Can't believe it took me this long. I didn't learn to swim until last year, I have a dear friend to thank for this, she knows who she is. I miss you. I have grown to love the ocean but with a deep respect for it. I have a lot more to learn but I have come a long way. I am in the water almost every day now. I love the smell and feel of it on my skin, I love smelling it on my sheets and my clothes. I just took awhile. My Spanish....ehhhhh, it's coming but it too is taking awhile. Because I am backtracking a bit here I'm going through old photos. I used to go to my Tio's plantation every Monday with them and help them on their farm, the highlight was always eating fresh tortilla a la Rancha out there. Fresh hand made tortillas on a fire. You know that smell of fresh bread coming out of the oven? This is intense like that but with out that yeast smell, the smell rolls over you like soft delicious little mini waves. It's a smell that you cannot mistake for anything else. I manage to fanagle by bike over my stairs and through 2 gates without scrapping a knee or spilling my bag of oranges I am bringing to work. I pass Terri just opening her shop, she waves and hollers, I wave and holler back, I miss walking, you talk to people more. Monica is hanging laundry out...always, Erika yells...hey its Maria, they all holler "hola" I holler back. Esmelda is sweeping the sidewalk at Carmalitas and Arturo is listening to classical music today under his palapa as his grandkids are playing at his feet, his wife is sweeping the yard, how does she keep her yard so immaculate. The staff at Amaitlan are sweeping horse poop off the sidewalk, concrete sidewalk is just not practical when horses are still a mode of transportation. Behind the Molocay I almost collide with a motorbike, thanks goodness he was on the ball, I sure wasn't. The sand behind the Puesta del sol is very soft and thick, sometimes I can make it around the corner if I have lots of speed, I dig deep for that 5th gear in my legs and I almost make it but Domingo is washing his truck in his driveway and his dog is in the street, I slow down and then can't get going again. I may as well stop and chat now. I chat with him and his wife about all the Christmas holidays plans they have and about their trip down. (they are from Lake Chapala) I have to get going or I may be late. Now it's up hill a ways, my thighs are on fire by the time the ground levels out, it's a good feeling. Trailers of tourists are already arriving, 2 trailers passed me, all Mexican. The Mexican tourist sure have stepped up to fill the void after the American media cleaned out the American tourists a few years back....they are coming back slowly. As I peddle along the straight going to to Los Chivos I once again thank God for leading me here, how great is this life, going to work with my bathing suit on under my clothes, I look left and see ocean, I look to the right and see ocean. I have my knitting in my bag in case it's not busy and my swim suit on under my dress. God is good. As I pull in I am greeted by all, everyone seems so happy to be at work. David is re plastering the bathroom, my brother and his banditos are putting the last touches of the palapa and prepping for tiles on the floor. Breakfast is being cooked, I can smell eggs. We rake the sand, sifting out any garbage, wash chairs and tables and then wipe them down, fill all the napkin holders, arrange the tortilla baskets, make sure the mayonnaise/ketchup/and salsa is ready. Get all the coco tools out, machete, knife, big scoop spoon, salt, lime, and chili. We fill the drink fridge with beer, soft drinks and juices. We make sure the bathrooms are clean and the dish washing station has soap and water and I make sure it has the proper waste baskets, one for fish bones, one for fish guts, one for paper garbage, one for organic garbage, not sure why I bother with this, this only stays organized like this if I am the only one doing dishes, if we get busy and everyone helps out with dishes everything gets thrown in one bin. This is me....trying to change things...again, sometimes I don't listen to my own advise. Once we are all ready we sit in hammocks, Maria and I knit, we all chat. We chat about ways to increase business, we chat about different ways of cooking (Canadian/German/Mexican) we chat about life on a tuna boat, about the need for women to paint their nails in Mexico, the need for some (most) Mexican men to have more than one women...why is that? (it's a long story) We chat about young kids smoking these days, women smoking, young kids wanting designer clothes, why men drink beer, and why is that women walking by in the long red dress not wearing any underwear...at all, and why was the man in our group the first to notice this, this was the funnest discussion, by the time we were done with him he wanted to lock himself in the kitchen. I had a tables of about 13 (all family) from Chihuahua, when I told them that was where my family is from it was decided I was family, I had so much fun serving them. I laughed and joked all day. They ate a lot of shrimp. I had a table of people (a family, all adults) from Mexico City here on vacation staying at the the Estrella del Mar. They had been partying there with some Canadians over Christmas and since I am Canadian they also declared me family and invited me to eat and drink with them (but I was too busy). They drank a lot of beer and danced (we have music) and played in the cold cold water. And then drank more beer. I tell our management committee that we will soon run out of beer, no one listens to me. My young co-worker has a problem with a table, he comes to me for help, they don't speak Spanish. So I take over, a young Canadian couple here on a week vacation, here for the 3rd time, but first time at Los Chivos, they have done all the touristy tours over the years and are now hitting the streets on their own. A chevy Safari minivan and a Chevy Blazer pull onto the beach, on the roof of the safari are chairs and a kid laying on his stomach (I'm not making this up) they drive to the end of the beach and I count as 21 people pile out of these 2 vehicles, the little kids come out single file and run straight into the ocean in their clothes and they don't come out until sun down. They don't need anything from us, they have 2 soccer balls, a table, chairs, heavy coolers, pots and big bowls, music and food and drinks. Their fun entertains me every time I look up. If my parents would have taken us to a beach this is how we would have gone. Hill billy style. And then, surprise, we ran out of beer. Big kafuffle, how to get beer fast? By now the banditos have all gone home, taking their trucks and quads with them. A few phones calls are made but no one is available to bring beer. It's decided my young co worker with borrow my borrowed bike and head to the store and while he is gone I will tend to his tables. "We are also low on coke" I add, no one listens to me. Halfway through the day I serve my first plate of "camarones capeados" (beer battered Shrimp) oh my gosh, where have you been all my life? My Mexican sister never made these. This may change my life. When things finally slowed down a bit we all takes turns sitting down to eat. Today we had chicken strips, rice and beans. Not store chicken strips, a real chicken breast cut into strips and breaded. Yum. As the sun start to set everyone packs up, clothes and towels are wrung out, showers are taken with the garden hose out back, empty beer cans are gathered from the sand.....and the exodus starts, my favorite time of day (after sun up). We break and all scatter into hammocks and chairs and watch the sunset until it fades into the dark. Once the mountain of dirty dishes are done (we lost control of the dishes at some point), the garbage is taken to the bin, the coco debris is raked up, tables and chairs are returned to their places, the kitchen is cleaned, the music stops. As our crew leaves to go home I take a quick swim in the dark. After a day of running up and down the stairs it feels so good to have a soak in the salt water, even if only a quick one. I put my dress back on and get on my bike and peddle home as fast as I can praying I don't hit a rock in the dark, this is Stone Island after all. Sometimes the waitress hangs her dress on a nail and goes for a swim, no waves makes for nice clear water. ops, looks like I already posted these pictures, I guess I need to review a bit before I start posting. Yikes, I've been away for a long time. If I still have readers, I thank you for waiting, if you've moved on I don't blame you. I have no excuses, no fancy story as to why I didn't write. I wasn't stranded in the Himalayas without internet, didn't crash into the ocean and had to swim my way to Canada (what a cold swim that would be), I didn't break my fingers in a golfing accident (hey, it can happen) Didn't get lost in some rain forest (I wish) I just plain and simple didn't write. My life did take a little bit of a different turn (will get to that later) and I did get busy but not any busier than anyone else. I won't bore you with all my petty excuses. So.....where to start? Do I back up or just move forward? I'll start by backing up a bit, I had some posts from last winter already written but just not posted....I know!!!! Stupid! Shall we just pretend the little gap didn't happen and move forward? I say yay. My Mexican sister has decided to take most of the year off and isn't operating her restaurant this year. Since I had more time on my hands I was hanging out at Los Chivos a lot, swimming and or paddling. I still don't like swimming in the waves which makes Los Chivos the perfect spot. In hanging out there I ended up getting a new job. I am the new waitress/dishwasher/ and the "go get me this" girl at the Palapa EL Mirador ( The look out palapa) named so because we have a beautiful view of the Island across the water with the mountains in the background. We have a bottom deck where you can sit at sea level or a top deck where you have the view, this is a perfect work out for me, up and down the stairs all day long, I do feel it at night when I go to bed. Every evening after cleanup I jump in the water for a quick dip, so refreshing. My Mexican brother is there as well every day, he has been hired to rebuild her palapa, due to all the storms this has to be done every few years. He and his crew of banditos (my name for them) are there every day as well, entertaining us....or me anyway. If you ever get a chance to watch a Mexican construction crew at work do so, It is entertaining and so very interesting. I wish I could set up a web cam up because pictures just don't do it any justice. There is a whole lot of shanigans that go on but it never even slows down the work, these guys work like no other. They have been working there for 2 weeks and I will miss them when they are gone. They chatter away all day, they whoo whoo and sing, play jokes on each other and laugh at each other every chance they get, they have little accidents and mishaps and they get side tracked with helping others. They will stop and go to the cantina to get more beer for us, they will give people rides to the ferry, they will help chop coconuts when we get busy, they will help unload the coke truck, one customer lost her cell phone yesterday, the whole crew stopped and searched in the sand for it and then one guy raced to the ferry with his quad only to find that they had already crossed so he crossed over as well and met up with her on the other side. ...... work did get interrupted a bit that time. If you want to be even closer the new waitress will put a table down below for you and she will run back and forth....she needs the exercise. I use the word astounding so much here in Mexico. I've often felt that I got here just in time. Just in time to soak in the true Mexican culture. The times are changing, fast. I blame the internet and possibly myself. November 7th was Day of the Ijido here, the 80th anniversary of when the Ijido was formed, when the Mexican government gave this land to the original ijidotarians. There are 80 original ijidotarians living on this Island. Some of them lead the parade on the 7th. It was a beautiful parade, bigger than I had thought it would be. Every class in the kindergarten, elementary school and secondary student participated. There was a grand queen, a child queen, and an elder queen, queens from the past were present. Every sports team was present. Families had individual floats. As the parade went by there was a mix of music, some played through Iphones, Ipads and laptops, some even in English, it made me sad. Most of the costumes and dance had so much American influence in it. I couldn't help but wonder what this parade looked like 10 or 20 years ago (they do this every year). Later in the day I was chatting with my neighbour (who is Ijido) I asked if he had taken a break from building his house to watch the parade. He had, and without me prompting he commented on how the young people are forgetting their own culture and traditions, he commented on the American style dresses of the queens and the American music. They hadn't even played the Island anthem or the Ijido anthem (I didn't know they existed) He also blamed the internet. The American culture is at their fingertips. As we were talking Dona Cholita walked over, she is around 90 years old, an original Ijidotarian as well. She joined in the conversation and agreed, the children are forgetting who they are. She started reminiscing about the "good old days". Here is a lady that has stories to tell and is willing to tell them, they should be written down I say, My neighbour says "start writing". I want too I say, but my Spanish is not quite there yet, when you are writing history you have to get it right. He encourages me, there are many elders that would love to sit with you and tell their stories, I want that more than anything. I want to sit on a door stoop in a rocking chair and listen to a group of elders tell me stories, I want that so bad. As we talk I think of my Tia's mother, also in her late 90's and at this moment not doing too well, her stories are going to die with her soon. I should get over there and at least get a picture of her. The majority of the elders in this village are illiterate, not even capable of writing down their stories and their children aren't interested, they are busy "progressing" into the American way. All over the world the American way is assumed to be progress. "I blame the internet and partly myself". I was referring to me as a North American, more and more of us come here for many reasons, to enjoy the culture, vacation, or to winter here because it's cheap. It's impossible to do this without bring some "Americaness" with us, not necessarily in things but even just our demeanor and attitude. If you go back to the very beginning of this blog you will notice a different writing from me, I was very involved in charity work here, charities that North Americans have started, all very good things if you want to "make a difference" during your stay here. It was through these organization that I met a lot of expats here and was introduced to many locals living on the outskirts of the city, here on the Island and in surrounding towns and villages, many of these people are still my friends but I have stopped trying to "make a difference" the American way, with an American model. I have stopped trying to change how they do things here, instead I try to come alongside someone that needs help and watch how they do it and join in. Forget about making a difference and just watch listen and then help. Don't help until you've watched and listened awhile. I laugh when I think of my first Spanish lesson one my land ladies sons taught me when I first got here. I was lamenting about my Spanish, saying how I was at the point where I could ask almost any questions but it was when I was asked a question that I would get into trouble because I couldn't understand the question asked. He said "oh then you just say yo no se nada". which means "I don't know anything". The less you know around here the better he says. He still laughs when he asks me something and I respond with "yo no se nada". He says "at least I taught you something". All the American started charities here are a great way to come here and "help", they are a great way to get introduced to this city and surrounding areas, a great way to see how the people live and what the needs are here. If you are here for a short time and don't have Spanish I would encourage you to hook up with them. You will make some great friends and get your hands dirty and hopefully during that process you will fall in love with the Mexican people. Maybe like me, you will outgrow these organization and find your place in amongst the Mexican people like I have. Either way, you will meet some amazing loving and giving people, North Americans and Mexicans. Just remember to ask yourself "am I helping or am I trying to change things?" As I am writing this my housemate is playing English music, a mixture of Bob Marley, Whitney Houston, Madonna and the Police. By the way,want to really see what Mexico was like a long time ago. 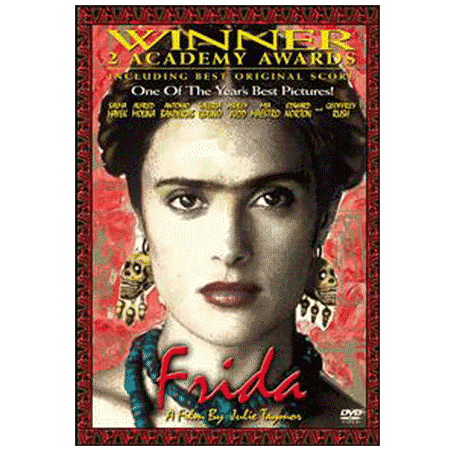 Watch the movie Frida, if you are not familiar with Frida already watch the special features first, it will help to understand the movie. This is one of my favorite movies. I Love Frida and all she stood for. Not a movie for little kids. Some of you have asked about my work. I have never wanted this space to be about work, so much of my life is work, I am my work, it is not just a job or a profession it is a way of life and so to find a space in my life where it doesn't seep into is rare. I would like to keep it out of here, I have debated about starting another blog for work but I barely seem to be able to keep this one up to date and I fear the work one would take over. I do follow a lot of golf course blogs just to stay in the loop of what's new in that field. I worked at the High Level golf and country club (Fox Haven golf & Country club) for 9 years, the last 6 were as their superintendent. 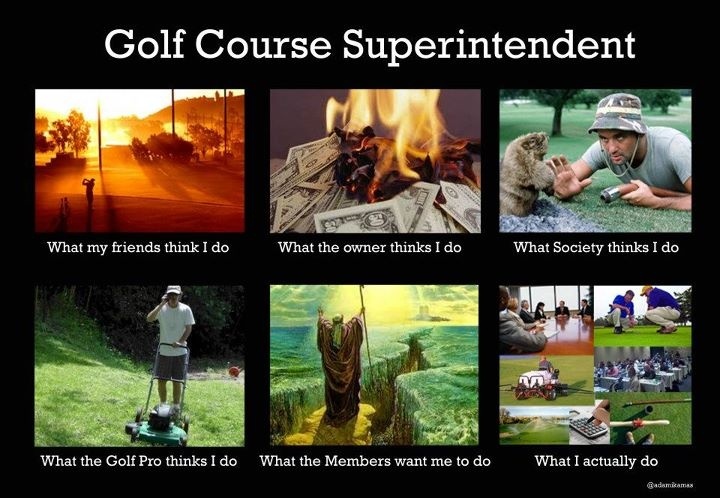 Golf course superintendents don't choose this profession because of money, fame, glory or prestige. There is not a lot of money, you don't get credited for much, you get blamed for everything and most golfers see the super as the guy that is the cause of their bad golf game, he\she is liked about as much as a used car salesman. CNN money mag wrote an article listing a golf super as one of the most stressful jobs with low pay. As a super you are expected to deliver more than you have money for, depending on the size of the course you may have up to 300 club members, they all feel they own part of the course, they all have different ideas as to what the super should do with "their money". I spent my time here last winter searching the different golf super associations web sites and making new connections in the golf industry and consulting with some of my mentors and connections that I had made over the years. The golf course industry is a very tight and open (if that makes sense) industry, we share a lot of information, there are experts in all the different fields within the turf side like your different equipment reps, your parts rep, your seed and fert rep, your soil test rep, your irrigation rep, your reel sharpening rep, your safety rep, and on and on. finding a golf course that is looking for employees is the easy part but to make sure I wasn't jumping from the pot to the kettle I had to check them out and see what others in the industry had to say about them. Anyway.......i bounced around a few months and then it came to me. I will cut the story short here. Through phone interviews and emailing back and forth I was hired as a horticulturist at the Innisfail Golf & Country club. They are a big enough course to have a hort side as well as turf. (27 holes) I choose them because they are an Audubon certified course, that was the selling point. Not location, I had not wanted to be south of Edmonton, but this course just kept woeing me. The Audubon side of things would ensure that I would not be at a standstill, I could keep growing and learning, the hort side of things was new ground for me. Yet.....would never be as stressful as being the superintendent, and yet allow me to step over to the turf side once in awhile when needed....and trust me there is always a need for an extra hand there. I didn't have to give it up cold turkey. At the end of the season I was given the position of head horticulturist, I am now part of the management team, we are a team of 7. Now, traditionally the horticulturist has always used her winters to plan and organize for the next season and I was not willing to give up my winters here so a compromise was reached. I would do my planning and organizing from here, via the internet. We are set up so I can even join in on staff meetings. Audubon projects that I am working on are building habitats for Bat and butterflies.The course had already focused on birds in years past so my man focus this next season will be bats, butterflies and bees. Due to all the crop spraying in the south it is rare to see a butterfly and of course bees are in trouble everywhere. I am hoping that the time will come when The Innisfail golf course will be known for its butterflies and bees. The biggest part of this is educating the people, the golfers, management, schools, the community leaders and of the course the media. Another project of my mine, one that I am the most passionate about is ........you guessed it. TREE PLANTING! I am hoping to create an awareness about the lack of trees and then get people fired up about changing that. This will be difficult to do, in the south, trees are not considered a commodity as they are in the north. In the north many people make their living in the logging industry so taking care of our forests is a high priority, not so in the south. I have my work cut out for me. I do have some work to do, and I Iike it. It is interfering a wee bit with my beach time here but that is part of my compromise. I spend my mornings designing and writing newsletters, planning garden and flower beds, rearranging them to invite bees and butterflies. Researching bats and designing displays and pamphlets.....and so on. That being said, less stress is good, however there is an offset. The job of a horticulturist is tough on the body it requires a lot of bending, kneeling, pushing pulling and bending, so much bending, so much that that is usually the cause of a short career. Luckily I am used to labor coming from the turf side of things so my body wasn't shocked, I do have to take better care of myself if I want this to last. I have been working on correcting an over extended rib (a rib flare) and an anterior pelvic tilt for some years now, but I haven't been very diligent about it but I need to take it seriously now. I have been working with a chiropractor and a massage therapist and of course been doing my "homework" more diligently. Oh ...... and I am supposed to use this winter to straighten out my golf swing. Sigh. By the way, if your dream is to winter in a warm place like this, a job at a golf course is the perfect fit, if it's a course that is not open in the winters. 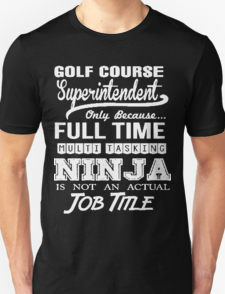 Remember golf courses have many departments, turf, hort, mechanics, food and beverage, admin, pro shop sales, receptionists, cleaning staff, there could be a job for you. Last season we had ages 16-78 seated at our lunch table daily, there really is a job for every age. The catch.....you have to jump out of bed at 4 am, and you have to love it or you won't last the summer. Our first bat house was hung last fall, waiting for winter residents.